In the "Your Content" list, select the boxes next to the book(s) you'd like to remove. Select Yes, delete permanently to confirm. 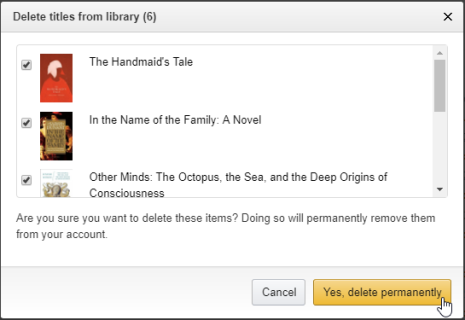 This permanently deletes the book(s) from your Amazon account. They will be removed from your Kindle device or reading app the next time you sync.